Throwback to 1982! 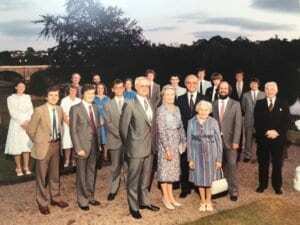 We recently came across this old photograph which shows AT staff at Ednam House Hotel celebrating Nancy and Ruby’s retirement. Nancy and Ruby were both secretary’s in our Hawick office and worked at AT for over 20 years.